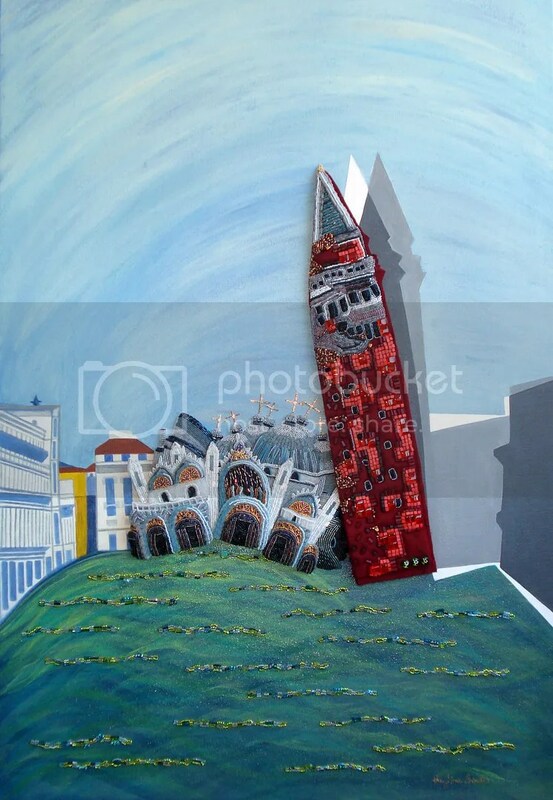 >Sinking St. Mark’s Square Painting – Finished! This piece consists of extreme bead embroidery. 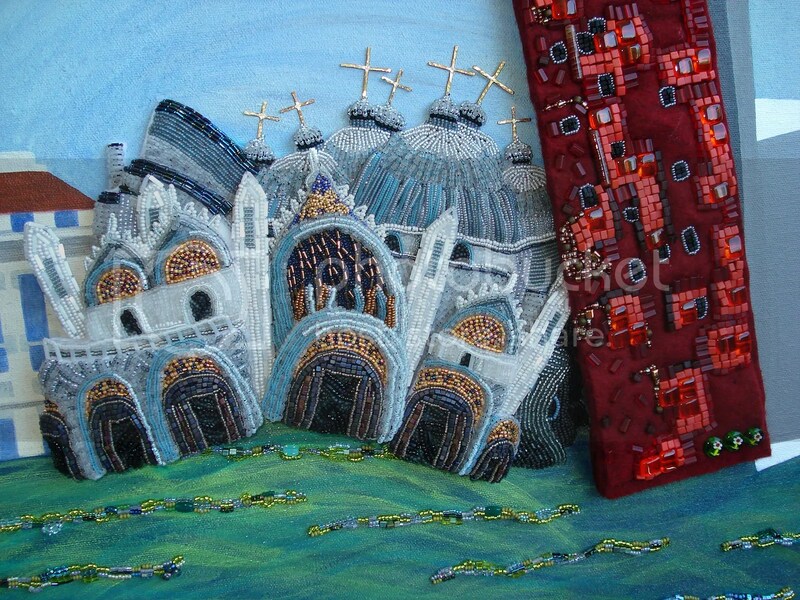 Glass seed beads, Murano glass beads, hammered gold crosses, felt, and acrylic paints were used to create a beaded St. Mark’s Basilica & Campanile. 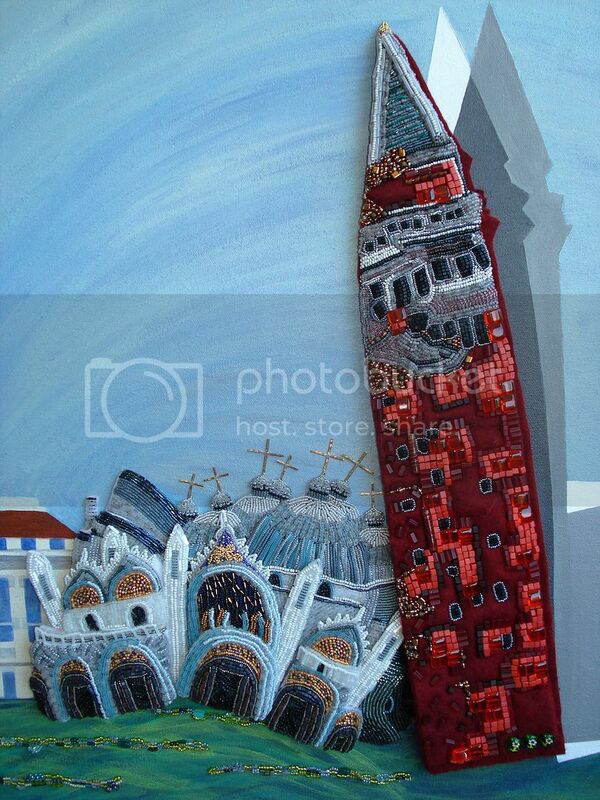 These pieces were then stitched to a 24″ x 36″ acrylic painted canvas depicting a beaded acqua alta. 24″ x 36″ (32cm x 46cm). If you would like to help save the city of Venice, consider donating to SaveVenice.org. 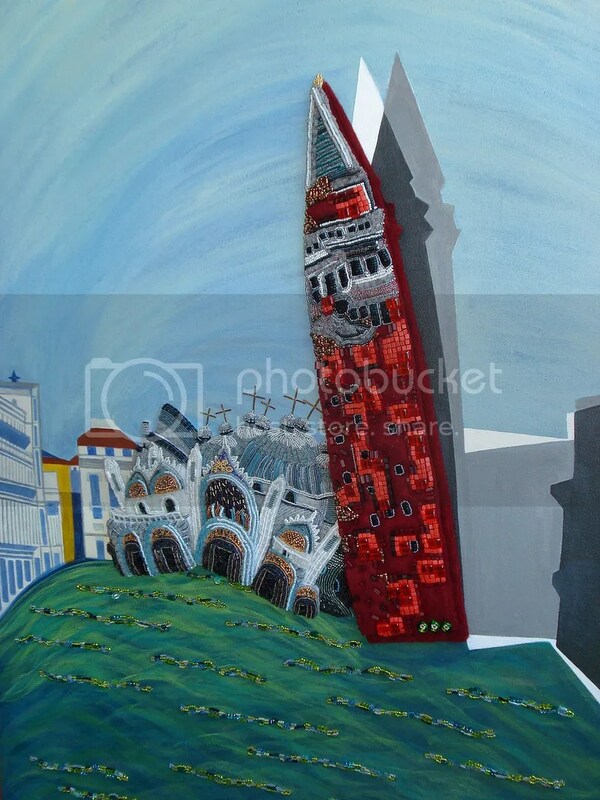 Save Venice is the largest private organization dedicated to preserving the artistic and cultural treasures of Venice, the world’s most fragile city. Founded in Massachusetts, Save Venice has undertaken restorations of hundreds of works of art in nearly forty years of activity. Save Venice’s Boston chapter raises funds through events in and around Boston, MA annually. Funds are used to stabilize and restore paintings, sculptures, rare books, as well as entire buildings – rescuing them from the ravages of time, the Venetian lagoon climate, and modern threats like pollution. For more information please visit: http://www.saveveniceboston.org/. Thank you for your interest! >Hi you!I just saw this in my reader and didn't want to miss another minute of staying in touch. I'm sorry to be away so long, but things are getting brighter and I'm finally coming around again. 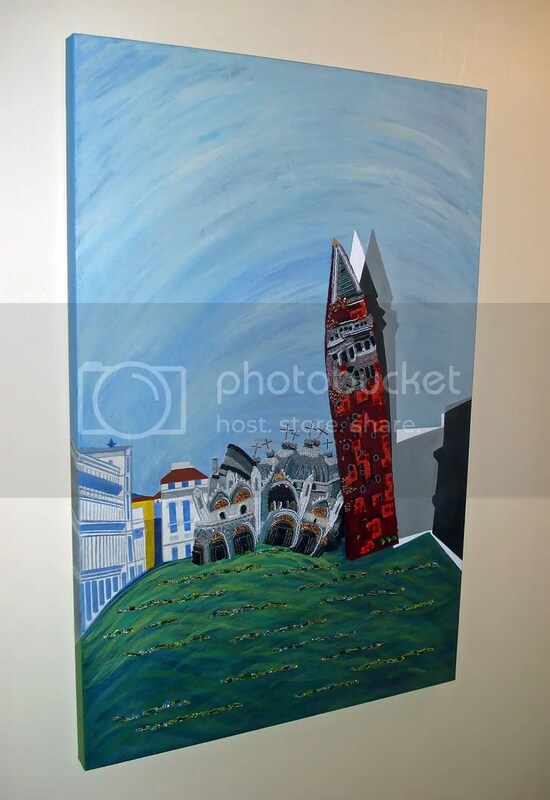 ;-)This piece is another incredible work of art…you are just SO talented! I hope the city that has defied time will mangage to hold on and that this will never happen! You should be feeling very accomplished…YOU ARE!!! ~LisaP.S. Love all the new additions in your Etsy shop, btw! Smiled that we both made starfish necklaces…beach girls are heart!Hope you are having a nice weekend! >This piece is so stellar! It was so much fun to see the work in progress as you created it. Simply awesome! >Congratulations! What an amazing piece of artwork! >wow after all this time its complete! that is some work youve done. wow its looks brilliant! >It's fabulous! Thank you for sharing the construction, I enjoyed every post! >Congrats! This has been a very interesting piece for you, yes? I had no idea that there is a save Venice movement afoot — thanks for the info. >THat is just superb LB! >It is gorgeous! How could such a beautiful piece of work give me such a sinking feeling! You convey it all so well. Thank you for creating awareness. I will check out the save venice link. Bravo!